The 2018-19 NBA season will be starting in a matter of weeks, and if it's anything like the last few seasons we're in for some incredible season. There is a widely held perception that we're in the midst of a golden era of NBA basketball, in fact. The league is flush with talent, and it seems that every year the biggest stars do things we did not think were possible. Think about it: Russell Westbrook just averaged a triple-double for two seasons straight, and hardly anyone even talked about it. The exceptional, in the modern NBA, has become routine. Even within this environment though, some players are even more intriguing than the rest. The following is my list, not necessarily of the best players in the league, but of the ones who should be most exciting to watch throughout the coming season. LeBron James is the best and most exciting player in the NBA year in and year out, but it will be all the more interesting to watch him with his new team. For his part, James envisions playing up-and-down basketball with the Lakers, which is to say moving at a faster pace than he did during his second stint with the Cavaliers. Particularly with young teammates around him, that should make for some very entertaining play, and makes James more exciting than ever. Jayson Tatum was one of the best rookies in the NBA last season. However it was in the playoffs that he raised his game to a thrilling level. Tatum at times went head-to-head with James in the Eastern Conference Finals, ultimately earning praise from James. It felt like a real moment for Tatum, and one that will propel his young career to new heights. I for one can’t wait to see what he has in store for his sophomore campaign. Kawhi Leonard has been the source of a lot of drama over the last year, ultimately forcing his way out of San Antonio. In the process, it seems like we’ve forgotten just how good he is at basketball. 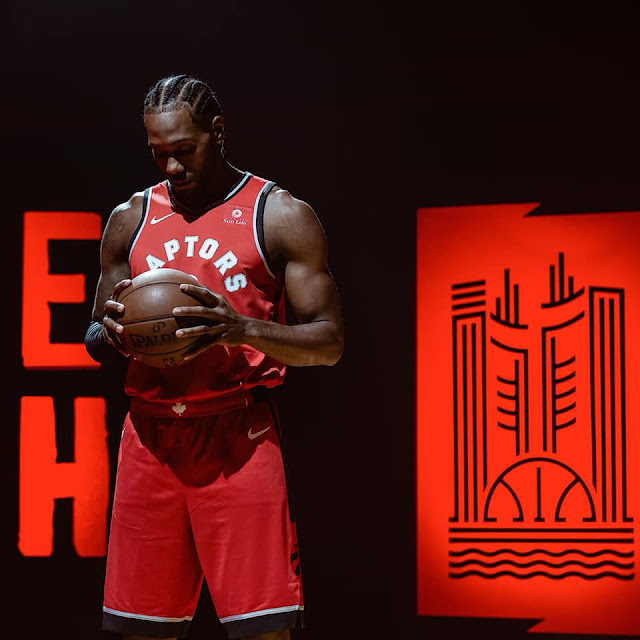 A healthy Leonard is the best defender and best two-way player in the league, and he’ll now be leading an all-new team in a quest to reach the finals out of the East. It’s going to be fascinating to watch. A lot of people feel that Luka Doncic will be the best rookie in the NBA, despite the fact that he wasn’t the top overall pick. None other than ex-Cavs coach David Platt has suggested Doncic was the biggest miss in the draft for this reason, in fact. Draft position and awards aside, however, Doncic plays a really exciting brand of basketball. His ability to generate offense in a young but promising Mavericks lineup could well shock us out of the gate. Possibly the most perennially underappreciated star in the league, Anthony Davis is poised for a huge season. In fact, a site posting predictions and odds for the coming year recently looked at the best best to capture the scoring title and listed Davis first. I might agree. His numbers after DeMarcus Cousins went down injured last year were simply otherworldly, and this season he’ll be the sole focal point again. Yes, the Pelicans added additional big men in Jahlil Okafor and Julius Randle, but this will be the Anthony Davis show. That’s never failed to be exciting. People seem to love or hate the Philadelphia 76ers. This is understandable given the drama they’ve been associated with through their tanking process and subsequent attempt to compete. They’re a polarizing team, and likely will be for as long as their current core is intact. Beneath the drama and polarization though, Ben Simmons is about as exciting a young player as we’ve seen in the game in a decade. At times looking like a cross between a young LeBron James and a young Magic Johnson, he has all the potential in the world. It’ll be up to him as much as anyone else to help Philadelphia keep pace with Boston and Toronto in the East. Particularly in the last few years, Love isn’t the first player who comes to mind when you think “exciting.” However, Kevin Love anchoring his own team has always been an incredibly impressive team, and he’ll be doing it again now that James has left Cleveland. None of us should be surprised if Love starts producing the same All-NBA-caliber numbers he routinely posted in his Minnesota games, and he might just look dominant doing it. 0 Response to "The Most Exciting Players In The NBA"